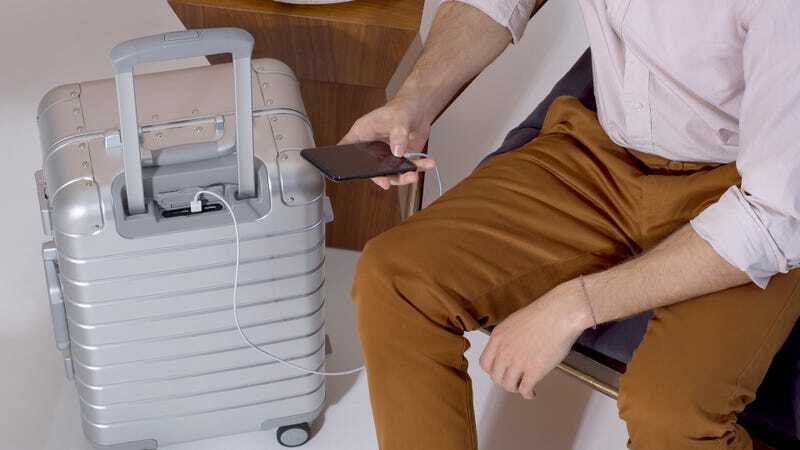 Away is going upmarket with aluminum versions of all of its excellent suitcases. You’re going to want them, but you probably won’t buy them. To be frank, there’s really not much of a practical case to be made for Away’s Aluminum Edition products. They all weigh over 50% more than, and cost more than twice as much as their polycarbonate counterparts. The smallest Carry-On will set you back $475 compared to the original’s $225, and you’ll drop nearly $600 on the largest checked bag they offer. And other than a few nice touches like slow-release spring handles and an extra pocketed internal panel, they don’t offer any features that you wouldn’t get in Away’s standard offerings. But man oh man, the patina of dents and scrapes that accumulate on aluminum luggage has a certain sentimentality that you can’t get from other travel gear. It’s the rolling manifestation of a fully stamped passport, and it never expires (that lifetime warranty still applies). Whether it’s worth the extra money and weight, that’s for you to decide. Update: Shane got a hands-on with the Aluminum bags, and you can see his impressions here.